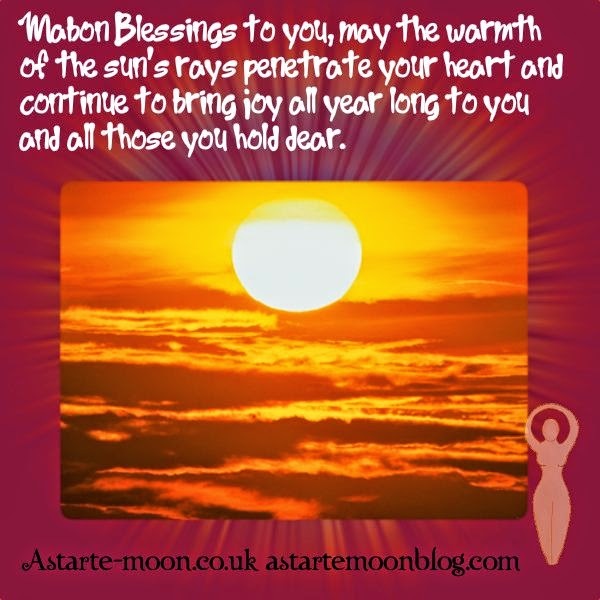 Astarte Moon Inspirations a life closer to nature's rhythms : Mabon Autumn equinox blessings to you, free e-cards to send! 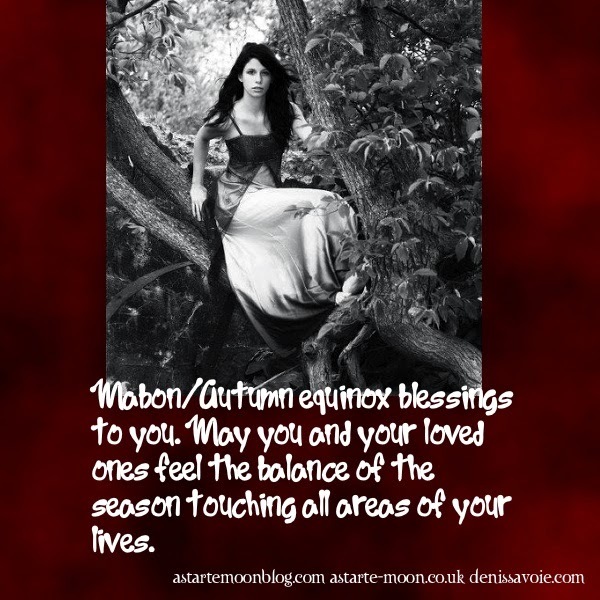 Mabon Autumn equinox blessings to you, free e-cards to send! Mabon or the Autumn Equinox will soon be upon us. This is a time when the earth is in perfect balance, day and night are of equal length. Mabon is celebrated on September 21st, in the Northern Hemisphere, in the Southern Hemsiphere it is the time for Oestara, the spring Equinox. Mabon is the season of the second harvest, a time when apples, cherries, plums and blackberries are seen all around us and it is a wonderful time to give thanks to our Mother Earth for all she has provided for us. I particularly like going blackberry picking, despite the thorns there is something wonderful about just being able to pick plum ripe blackberries straight from the hedgerows and eat them, knowing they are just growing there as nature intended them to be. 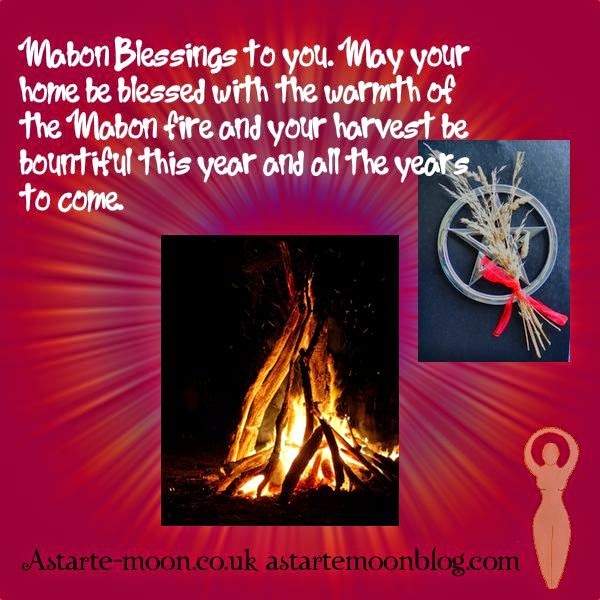 Anytime is a time to let loved ones know you are thinking of them however Mabon would be a good moment in time to take a breath to catch up with those loved ones and perhaps drop them a line or two to say hi. I've made these free e-cards so that you can do just that and I shall try and get around to making a few more over the next few days. Simply right click on any of these images and save them to your computer, print out or email to your loved ones.